We introduce N.G. 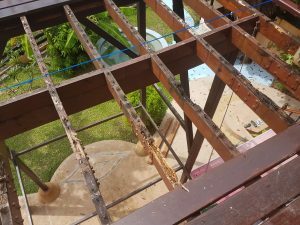 Property Maintenance service, dedicated to Koh Phangan. English management with a large team of workers of all trades and skills. 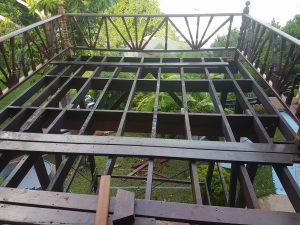 A service dedicated to construction, repairs, refurbishing, painting, building, plumbing, electrical work, swimming pool maintenance, gardening, maid services, and anything that your property needs. N.G. 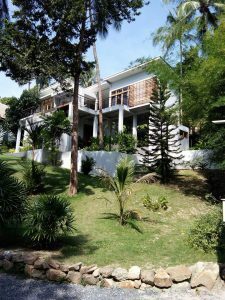 Property Maintenance Phangan have over 10 years of working and maintaining properties on Koh Phangan. 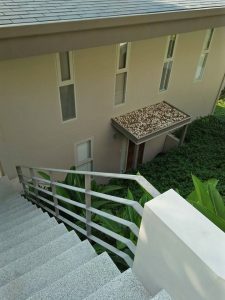 An essential service needed on the Island, to keep up appearances and standards of your property and also give you or your renting customers satisfaction. Perfection and reliability along with great overall work all professionally managed. 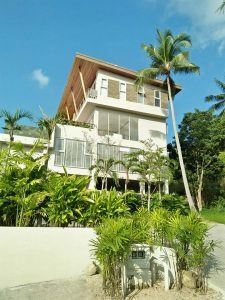 We have worked on some of the most prestige properties on the Island, which include private houses, villas, hotels and resorts. We also do any kind of building projects. Starting from scratch right to the finished product. 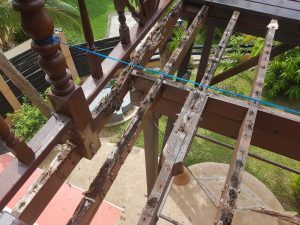 Do you rent your villa, and need fast efficient repairs or maintenance? Renting your property has its headaches, with hundreds of possible failures, like no water, no power etc.. We can help! 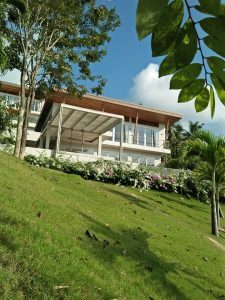 Do you leave your villa for long periods of time and need maintenance or management? We can help with small monthly fees, we can take care of your property, like swimming pool, gardens, house monitoring, security and general repairs. Do you suffer from searching for decent quality workers to complete jobs properly on your property? We have an efficient team of workers under British management, job success is our pleasure. Do you suffer from the language barrier to get things done how you want? 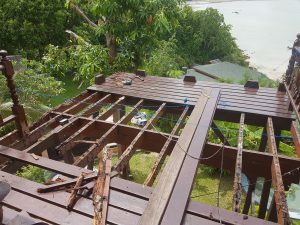 N.G Property Maintenance is here to help you out in all areas of your property. Trusted and great knowledge of Island knowing all the services needed for resourcing products and completing projects. 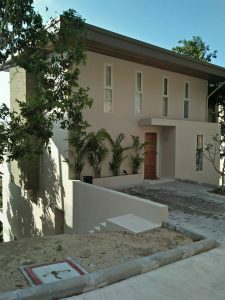 We can also build any kind of projects from small houses to large villas, swimming pools and much more. 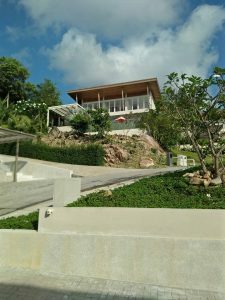 The key to a successful build is knowing the Island climate, the land layout, the resources and materials to use and the right services for the project. 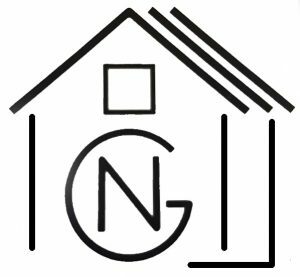 Choosing N.G Property Maintenance to build your property will give you full construction management throughout the whole process, with daily checking on the construction, keeping records of each step and with regular site meetings at the site or online. Our team are here to create a successful build to your specifications. 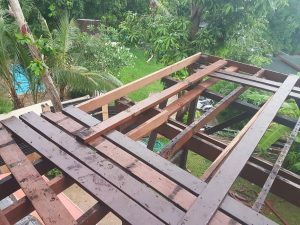 Rotten wood from Phangan weather! 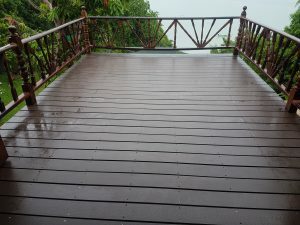 Finished decking, SHERA floor plank provides the best substitution to natural wood decking and is suitable for a wide range of looks, whether traditional, heritage or contemporary, making it a perfect alternative for residential or commercial buildings.